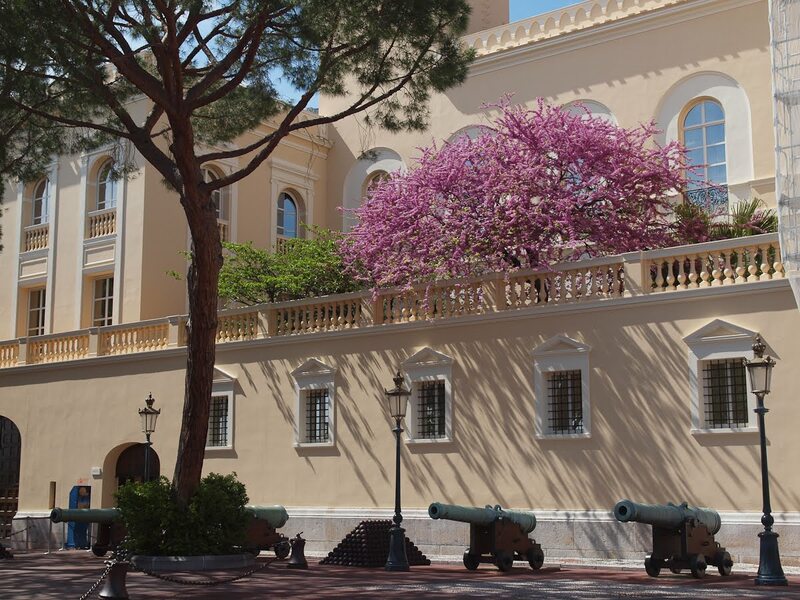 A Judas tree in bloom on the terrace of the Palace. This half of the Palace has now been cleaned and painted ready for the wedding of Prince Albert and Charlene Wittstock in July. Work continues on the other half - you can just see a glimpse of the protective covering on the far right in this shot. Lovely details, light and tree. - Happy Easter to you, from Gunn and Steve. What a beautiful tree to have on one's terrace!